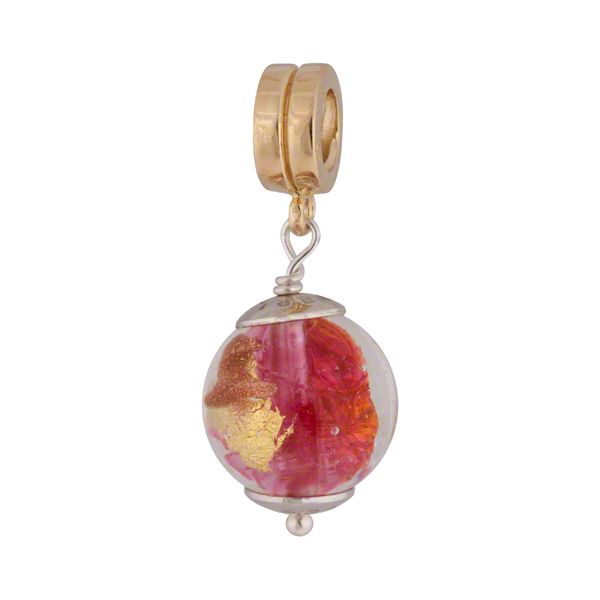 This is our LUNA Series with internal transparent Rubino a rich pink encased in clear Murano Glass and splashes of 24kt Gold Foil, .925 Sterling Silver and Aventurina to create this vibrantly colored charm. Sterling components and a Vermeil (Gold plate over Sterling Silver) are used through this charm. It is compatible with PERLAVITA jewelry as well as Pandora and Chamilia charms and beads.